We attend 11 camp fairs in New York City (Manhattan and Brooklyn), and 2 in New Jersey (Montclair & Ridgewood) between December and April. A camp fair is basically us bringing a slice of our open house to you, in your neighborhood. 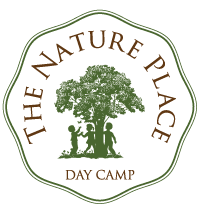 We will be at our Nature Place table, speaking to inquiring families about camp and answering questions. You’ll know it’s us by the large earth art city-stump, wooden photo trifold, and general vibe de nature.